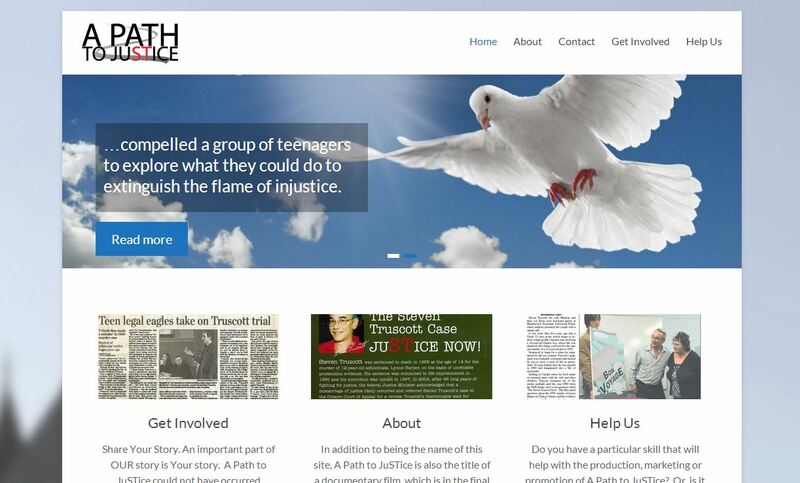 I would like to announce the completion of one of my latest website jobs: A Path To Justice. A Path To Justice is an upcoming documentary based on Humberview Secondary School’s law class that brought forth new evidence to the wrongfully convicted Steven Truscott case. The new-found evidence warranted a retrial, ultimately leading to an official pardon by the Canadian government. Over time this website should grow to serve the purpose of complementing the progress of the documentary: from planning, to production, then finally distribution. The website may be visited at apathtojustice.ca.